Brooks Whitehead’s practice focuses on commercial real estate, corporate and business law, and matters of taxation. His commercial real estate practice includes purchase and sale agreements, commercial leasing, and easements and covenants. Brooks’s transactional business practice includes matters such as choice of entity, formation, governance, dissolution, buy-sell agreements, mergers and acquisitions, reorganizations, contract review and drafting, and the like. He has advised and represented entities of all forms and types, including for-profit and nonprofit, domestic and international, corporate and pass-through. Brooks’s tax practice includes tax planning and tax controversy for both businesses and individuals, including matters of corporate, partnership, income, international, sales and use, employment, estate and gift, and property tax. Additionally, Brooks has experience in basic and complex estate planning and asset protections matters. He is a former Chair and multi-year board member of the Tax Section of the Sacramento County Bar Association. His other professional associations include the Business and Real Property Sections of the SCBA and the Sacramento Estate Planning Council. Brooks received his J.D. from the University of the Pacific, McGeorge School of Law, where he was named a member of the Roger J. Traynor Honor Society. He also holds a Master of Laws (LL.M.) in Transnational Business Practice from McGeorge, where his coursework emphasized taxation. Brooks also obtained a Master’s Degree in Business Administration from California State University, Sacramento, and double-majored in Economics and Political Science while at the University of California, Davis. 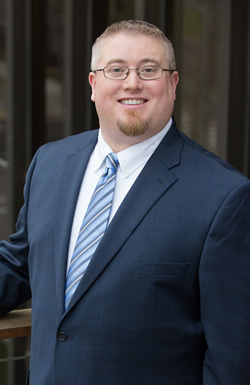 Brooks was named a Rising Star by Northern California Super Lawyers in 2015 through 2018, which is awarded to the top 2.5% of practitioners under the age of 40. He also maintains an AVVO attorney rating of 10.0 Superb. Spearheaded European expansion of domestic corporation, researched international tax issues to determine most favorable formation jurisdiction for subsidiary entity; coordinated with European advisors regarding creation of foreign subsidiary; and identified optimal import classifications to minimize tariffs on import of company's products from Chinese manufacturing firm. Took over client representation from another law firm following unsuccessful audit defense; developed novel legal theory to reduce quarter million dollar sales/use tax liability to zero; drafted Petition for Redetermination with Board of Equalization; negotiated six-figure reduction of tax owed. Drafted formation documents for auto repair services corporation; researched and advised clients regarding prohibited transaction issues related to funding of corporation through SD-IRA, consulted with clients on franchise agreement issues; analyzed, revised, and negotiated commercial lease for initial franchise location. Assisted in execution of asset protection plan for high net worth clients; researched and analyzed foreign asset protection ordinances; drafted foreign asset protection trust provisions; coordinated with international banks, investment firms, and offshore trustee companies regarding trust issues. Drafted and negotiated seven-figure convertible debt investment in, and additional seven-figure line of credit with, Florida pharmaceutical start-up company on behalf of high net worth client. Developed and implemented strategy for removal of minority shareholder/officer/director alleged to have embezzled from corporation; negotiated and drafted equity purchase agreement to buy out minority shareholder; obtained release of all counterclaims against majority shareholder. Prepared and filed Chapter 11 bankruptcy for insolvent restaurant chain; leveraged bankruptcy action and sham guaranty defense in settlement negotiations of corporation’s multi-million dollar debt with multiple lending institutions; secured releases of personal guarantees for shareholders. Developed property tax plan using rescission of grant deeds from parental trust, resulting in annual five-figure property tax savings in perpetuity for sibling-clients; survived scrutiny of county assessor.